One of only six residences in this private and professionally managed building. Perfect for the resident in need of space, convenience, and privacy. Centrally located on the first block of Boylston Street by the Public Garden. 2 Bedrooms/2 Baths. Direct Elevator Access To Unit. Spectacular views of Boylston Street, Newbury Street, Copley Square, Prudential Center, and iconic Museum of Natural History. Tons of natural light from over-sized windows with custom privacy shades. All Stone Bathrooms, Hardwood Floors, Berber Carpet in Bedrooms, Stainless Appliances, Over-sized Kitchen Sink with Disposal, and Granite Countertops. 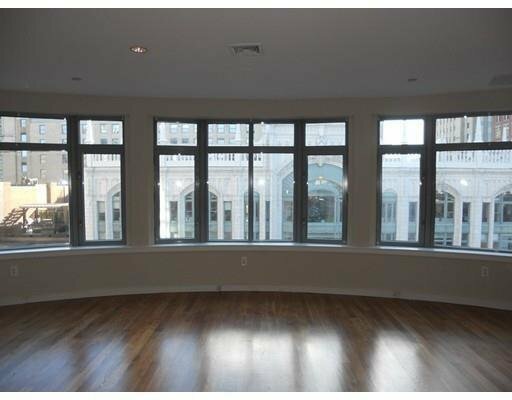 Amazing Bay Windows overlooking Boylston Street. On-Floor complimentary laundry. Camera/Intercom System for guests. Central A/C and Heat. Perfect for commuters, close to all MBTA sources and multiple parking options. Come take a look at Back Bay's most private residential address. Perfect for Corporate Clients. More Photos To Come.